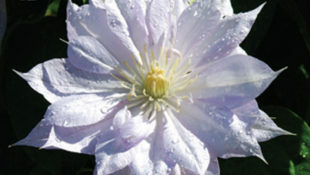 Plenty of 5 to 8 inch double flowers in a silvery blue color maturing to silver. Clematis Belle of Woking is well suited to container growing. Flowers early to late Summer. Jackman and Son, England, 1875.